A beautiful sunset reflecting of ice on a frozen lake …. 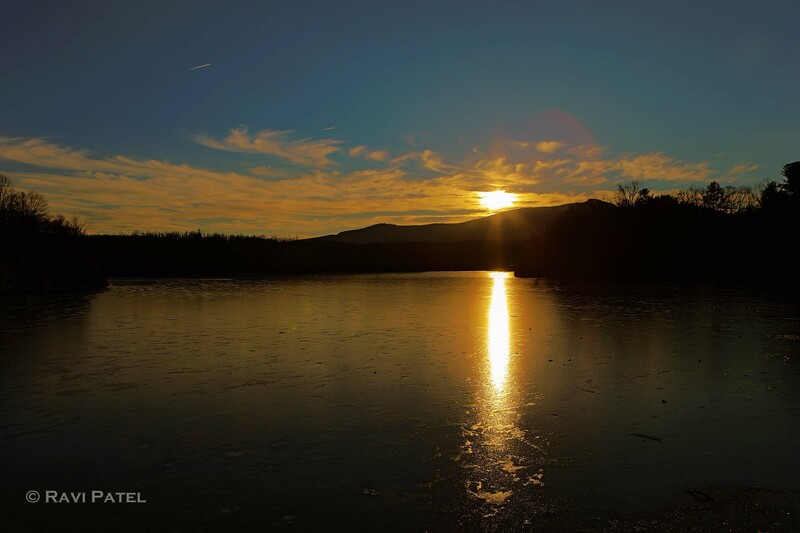 This entry was posted in Clouds, Landscapes, North Carolina, Oceans and Lakes, Photography, Reflections, Sunset, Winter and tagged ice, lake, North Carolina, reflections, sunset. Bookmark the permalink. Ravi, I hope you have all these beautiful pictures hanging in your house. I do so enjoy receiving your posts daily. Ran out of room, Brenda! You might have to take down an old one and hang this one, Ravi — it’s magnificent! It is so difficult to make choices, Donna!